2014 Decimal Coins There are 77 products. 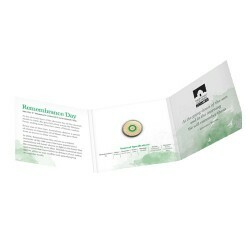 2014 $2 Remembrance Day Coloured Uncirculated Coin in Card. After perfecting the craft of producing spectacular colour printed coins in recent years, the Royal Australian Mint is proud to release the nation’s next coloured circulating coin in honour of this special commemoration. 2014 $1 World Money Fair Mob of Roos Proof Coin. 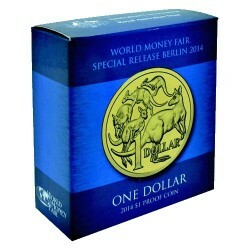 The Royal Australian Mint has released this specially designed packaging in collaboration with the World Money Fair GmbH for the 2014 World Money Fair Show. 2014 $1 ANZAC Day – Royal Australian Navy Submarine Service Uncirculated Coin in Card Preserving the knowledge of wartime sacrifices made by our defence force is important to new generations of Australians, as numbers attending ANZAC Day ceremonies testifies. 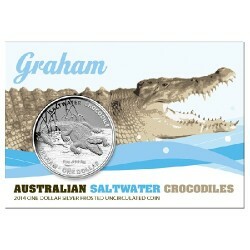 2014 $2 Remembrance Day ‘C’ Mintmark Coloured Uncirculated Coin in Card After perfecting the craft of producing spectacular colour printed coins in recent years, the Royal Australian Mint is proud to release the nation’s next coloured circulating coin in honour of this special commemoration. .
2014 $1 Australian Saltwater Crocodiles – Graham Silver Frosted Coin Following the success of the much sought-after ‘Bindi’ coin in 2012, the Royal Australian Mint is delighted to portray another impressive saltwater crocodile from Australia Zoo on our coins. 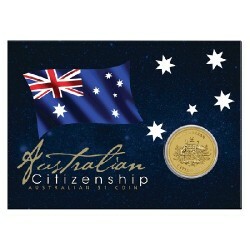 2014 $1 Australian Citizenship Uncirculated Coin in Card The Perth Mint has announced the release of its annual 2014 Citizenship $1 Coin. 2014 $2 Mini Roo 0.5gm Gold Bullion Coin in Card This delicate, button-sized release presents a golden opportunity for anyone to own an iconic Australian coin. The design portrays a kangaroo in outback Australia and is struck from 99.9% pure gold. 2014 10c Australian Koala 1/10th oz Silver Bullion Coin in Card. This delightful coin features original artistry and is struck by The Perth Mint from 99.9% pure silver in bullion quality. 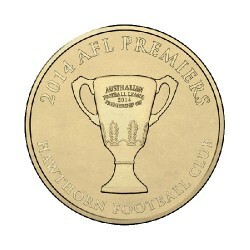 2014 $1 AFL Premiership Hawthorn Hawks Uncirculated Bronze Coin After the final siren, the Royal Australian Mint will commence striking the winning teams name on treasured coins. .
2014 $1 Baby Keepsake Uncirculated Coin in Card Designed as a special memento for the birth of a new baby, this year's card and coin set features a beautiful baby design. 2014 Mint Set - Six Coin Uncirculated Set The 2014 Six coin uncirculated set continues the Royal Australian Mint's tradition of releasing innovative products within our annual collection. 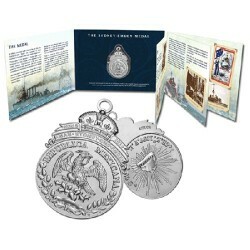 2014 Sinking The Sydney – Emden Medal Booklet A military decoration with a history like no other, the Sydney-Emden Medal was awarded to those involved in Australia’s first major naval engagement.